Harley is a fan favorite at Churchill Downs Racetrack! As a track pony, Harley safely leads Thoroughbreds to the starting gate at important races such as the Kentucky Derby! 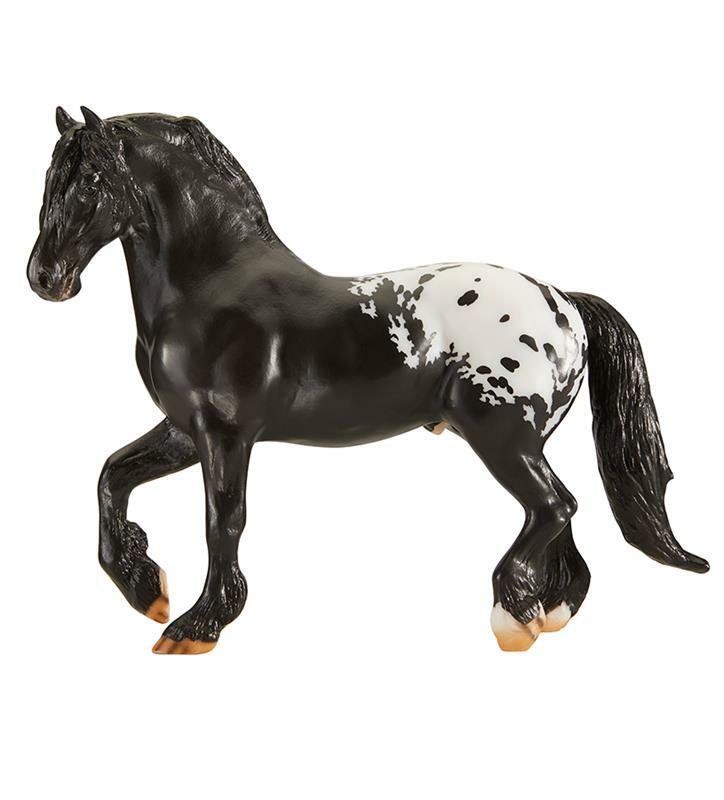 He's an American Sugarbush Harlequin Draft Horse and sports a black blanket appaloosa coat. You can read more about Harley in an article published in American's Best Racing, https://www.americasbestracing.net/lifestyle/2015-meet-harley-the-magnificent.